The event was attended by Jonathan ZS1ARB, Rob ZS1SA and Colin ZS1RS. The timing of the event on the public holiday seemed like a good idea a month ago but as it was, there were at least a half dozen apologies by members via WhatsApp before the event started, promising to attend the next one (which will take place sometime in March 2019 - final date still to be confirmed). The fox was hidden by a volunteer and found in a parked car on a nearby street in Rondebosch. It was then moved and hidden again under the bushes near our club house. We were grateful as that is where we had left our cars! In both cases, Colin located the fox a good 5 minutes before the other hunters were on the scene, but we were close behind. We learned quite a bit about the idiosyncrasies of our various antennas and hunting methods. For one thing, I learned to not put the fox’s frequency in a memory in the radio, and rather to use the VFO of the radio so you can tune off a few kilohertz when you are close, in order, to lower the signal into your receiver. Great fun was had by all and we are looking forward to the next event with even more hunters on the trail. 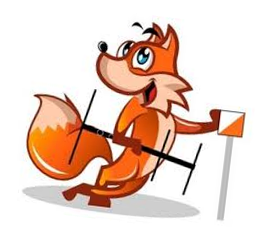 Since there is no formal meeting in December we will be having our first fox hunt that month on the public holiday of 17 December 2018. It is estimated that this foxhunt will take about 90 minutes maximum. The minimum equipment you will need is your 2 meter handheld and a directional antenna of some sort. A simple compass will also come in handy. Come as an individual or form a team with a friend. If you are interested in taking part in this fun event please contact Rob ZS1SA and we can form a group to make final arrangements. Please meet at the club house at 10h30 on Monday, 17 December for the briefing and the start. Rob can be emailed on radio@telkomsa.net or WhatsApp to 082-551-5423. Note: This even has now taken place. The report back is [here]. 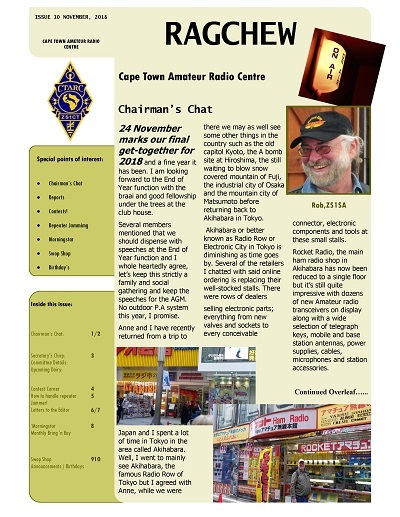 The December 2018 edition of the Cape Town Amateur Radio Centre's bi-monthly newsletter "Ragchew" is now published. Grateful thanks once again to our editor, Anne, for all her excellent work in putting together this month's edition, and to all those who contributed articles. Remember please, Anne is always on the look-out for articles to publish in Ragchew! We have decided to have an Antenna Work Party on Saturday 8 December. Paul, ZS1S, will be ‘Commander in Chief’ for the day! We will be lowering the tower and repairing the Yagi antenna, and also installing the new Dipole antenna that Barry ZS1FJ kindly purchased for us from the USA. All members are welcome if you can please spare an hour or two to have some fun whilst helping your club maintain the equipment. Do bring your own lunch. If you’re able to help, see you at 09h30 on Saturday 8th December 2018. Here are the photos of the CTARC's End-of-Year Braai held on Saturday 24 November 2018. The written report-back is [here]. Noel certainly deserved his own one! On Saturday, 24 November 2018, the CTARC held its final event of the year, namely the End-of-Year Braai, as has become the tradition with our club. At 11h00, committee members arrived to start setting up the gazebo, chairs, tables, braai grids and all the other paraphernalia required of the event. Although the weather was sunny and warm, a strong south-easterly wind had been predicted, and the sage decision to relocate the event to the leeward side of the clubhouse was taken. In addition to this there is a pleasant shady row of trees under which the chairs could be positioned for those wishing relief from the heat. This was to be the location of a number of discussions and meet-ups in the afternoon. As in years past, Anne and Rob organised the catering and Anne, ably assisted by Elsabe, prepared and served up delicious burgers and liquid refreshments to all the visitors. Tony ZS1TM, Noel ZS1FW and Nick ZS1ZD manned the braai fires. Paul ZS1S brought along his magnificent solar-powered amplified crystal set with its loop antenna, which provided free background music for the duration of the afternoon. At around 12h00 the rest of the club members had arrived, the braai fires were going merrily and it promised to be a good afternoon. Our club chairman, Rob ZS1SA gave a brief welcoming speech, explaining that all awards (including the Len Wells Ham Spirit Award) will from now on be presented at the club's AGM in July each year. With that, it was up to the assembled throng to meet and chat, queue (very briefly) for Anne and Elsabe's delicious hamburgers, slake parched throats with liquid refreshment and catch up on all the news. We were very pleasantly surprised to be visited by an international team of three DX-ers who are going to Bouvet Island operating as callsign 3Y0I. They were able to take an afternoon off from their very busy training schedule in preparation for the mission ahead. We wish them and all their team the very best of luck on their entrepid endeavour. Your humble correspondent had the opportunity to chat with Tom ZS1TA on his very interesting contact on two metres with St Helena Island recently. We're hoping he will write this up as an article for inclusion in a forthcoming Ragchew newsletter. The braai continued into the afternoon and fortunately the wind didn't live up to its rather fierce predictions. At around 17h00 we began to wind down the event, pack away the furniture, clean up the litter, wish each other compliments of the forthcoming festive season, and wend our ways back to our respective homes. This was the final formal CTARC event of 2018, although the Sunday morning bulletins and the Monday evening 2-metre nets will continue up to just before Christmas. Grateful thanks to all who assisted with the event, to all who brought gazebos, umbrellas, ice, cool-boxes, etc, and to all who attended. 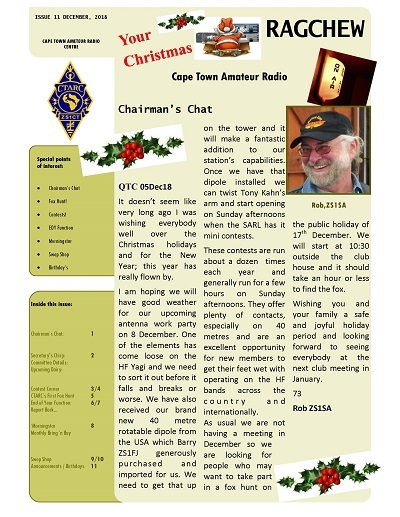 We wish all our club members good things for December and the festive season. Look after yourselves and your loved ones; stay safe. We look forward to seeing you all again at our next meeting in on Saturday, January 26, 2019, details of which will be announced presently. Photos of the End-of-Year event [here]. The CTARC’s End Of Year Function will take place on Saturday, 24 November 2018. Venue: CTARC’s Clubhouse Grounds, Laidlaw Road, Rondebosch, Cape Town. The braai fires will be lit at 12h00 to be ready by 13h00. 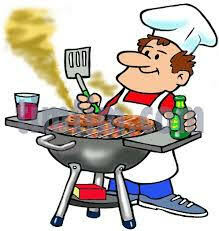 Complimentary beef burgers will be served to CTARC members and liquid refreshments will be on sale. Spouses / partners are also most welcome to attend. The CTARC Committee has decided to move all awards presentations to the July AGM, therefore this year at the Year End Party there will be no speeches, no formalities; just a balmy afternoon under the trees ‘chewing the rag’ with like-minded folks and enjoying each other's company. Do come along and enjoy the afternoon. CTARC Committee members are reminded of the forthcoming meeting at 19h00 on Monday 19 November 2018 at the clubhouse. Please make an effort to attend as there are important matters to discuss regarding the CTARC end-of-year party for November that takes place on Saturday, 24 November '18, as well as other matters. (If you can't be there, please remember to send in your reports and apologies to Rob or Anne.). The November 2018 edition of the Cape Town Amateur Radio Centre's bi-monthly newsletter "Ragchew" is now published. The CTARC October 2018 meeting commenced promptly at the clubhouse on Saturday 27 October 2018. Standing in for our club chairman who couldn't attend that day, the meeting was opened by Noel ZS1FW. 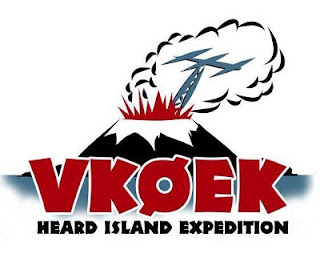 At this meeting members were shown the official VK0EK Heard Island Dx-pedition video, by kind courtesy of Paul ZS1S. After the meeting, members had the opportunity for eyeball QSO's over a cup of coffee and a biscuit or two. Thanks to Paul ZS1S for showing the video, and to all who attended. Our next club meeting of the CTARC, and the final one for 2018 will be the End-of-Year function held at the end of November. More details to follow. We still require a few members to assists us with Jamboree on the Air 2018. This year it will be held on Friday 19th to Sunday 21st October 2018. This year we will be setting up a station at the Sea Scout base in Muizenberg. In previous years, we used the Girl Guide Hall in Bergvliet, but the Sea Scout base may be more suited to our purpose. 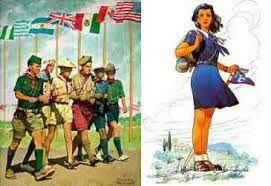 JOTA-JOTI is the largest Scouting event in the world with over 1.3 million Scouts participating across 150+ countries. 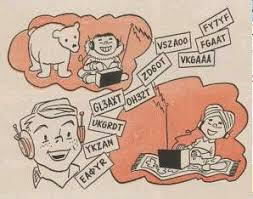 Scouts and Guides across the world connect with each other during JOTA-JOTI using the airwaves and the internet. The event has traditionally been held the third weekend of October since 1957. The CTARC will hold it's next monthly meeting on Saturday 27 October 2018 at 14h00 at the usual clubhouse venue in Rondebosch. 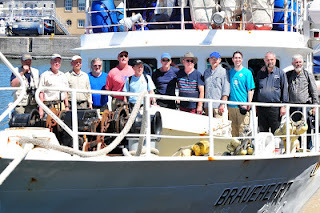 Members will recall that the DxPedition assembled at Cape Town harbour before setting off on their epic adventure in March of 2016. Many of you met the Heard Island Group when they were here in Cape Town and this is the video of the entire trip. It promises to be a good video and, who knows, some of our CTARC members may see themselves immortalised in deathless video! 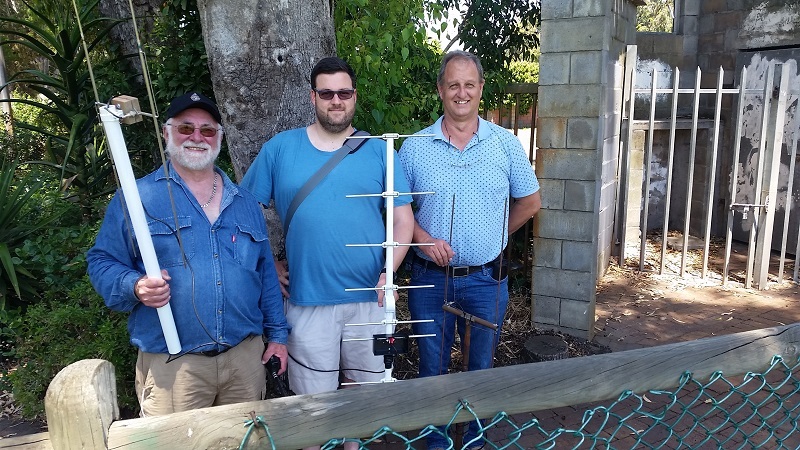 Certainly, the CTARC and a good number of local hams were there to assist, helping to establish Cape Town as a very useful staging post for future DxPeditions. Do go along early to get your seat. 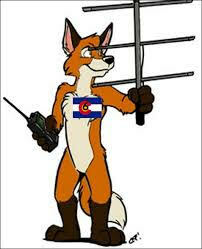 Don't forget the usual bring-'n-buy Swop Shop of amateur radio gear that takes place after the meeting. Below is a link to a website with a PDF e-book that contains an enormous amount of info on antennas and associated theory and practise. Access the website via the link below; you will find the link to the PDF file (a compact 855kB) halfway down the page. Editors Note: This is a book length web article provided by the author FREE for all hams. It is to be used only for personal non-profit educational use. Bookmark this page for future reading or see more options for saving at bottom of page! The original book contained 60 pages and illustrations. Many of the antennas described here are in project form on this web site. On Saturday 22 September 2018, the CTARC held its monthly meeting at the clubhouse. At this well-attended gathering, we were welcomed as usual by our club's chairman, Rob ZS1SA, who gave the members feedback on matters discussed at the recent September Committee Meeting held the previous Monday. Noel ZS1FW gave us feedback on the antenna work parties held to maintain and refurbish our antennas, and Rob also showed us the Fox transmitter and a DF antenna typical of those to be used in our club's forthcoming fox hunt activities. Then we were treated to an interesting talk and slide show by Mike ZS1CO. He had the opportunity to visit family in California recently, and combined that visit with the opportunity to meet some of the US hams the CTARC had welcomed when they arrived by ship in Cape Town after their 3Y0Z Bouvet Island DX-pedition. It was fascinating to see some of their equipment, fabulous antennas and facilities. Following Mike's talk, Mike ZS1FP briefly showed us some ham bits and pieces he had found in his own excursions. Then it was time for coffee, biscuits and eyeball QSO's, enlivened by recently advertised Swop Shop activities (ZS1TK's equipment featured heavily, as well as some rather nice green radios that were to be seen a little further beyond the clubhouse). Thanks to all who took part, participated and attended the meeting. Our following monthly club meeting, held at the same venue on Saturday 27 October at 14h00 B: will include a screening of the official Heard Island DX-Pedition video, which should be well worth seeing. Here are some photos of the meeting. We apologise for the fuzzy quality of some of them, which are obviously photos of photos projected on the wall! which provided the impetus for him to meet some of them in California later.